The real no lever tire changer - never use a tire iron again! 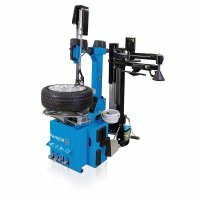 The unique and patented ROBOTOOL operates between the rim and tire, then levering on the rim progressively pulls up the bead, minimizing stress on the tire. AUTO-TOUCH Function: Combines Easy Controls, ROBOTOOL and Easy Roller to make changing any tire easy. 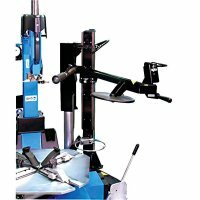 Ability to extend the working range of the locking table up to 30”. 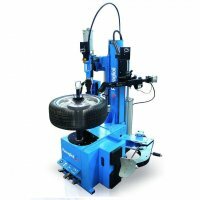 Variable Speed INVEMOTOR: Allows the operator to control rotation speed of the clamping table with simple to operate foot pedal. Variable speed from 0 to 16 RPM offers the best possible control.